i love knockoff recipes. most often, you can usually tweak them to be better than the original! this is the case with fiesta lime chicken. i’ve been making this dish for quite a long time (as in about the time tom and i started dating 9(!?!?) years ago). it has evolved and changed several ways over the years. 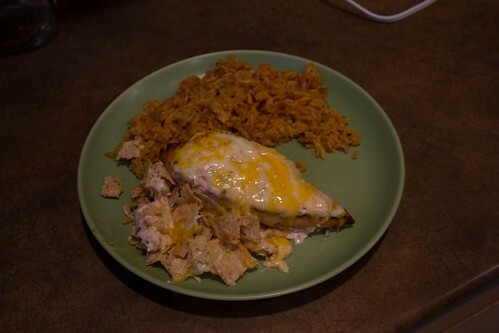 it started as chicken breast, marinated in italian dressing, topped with queso and melted cheese, served over broken tortilla chips and mexican rice. the only thing that has stayed the same is the cheese, chips and rice. 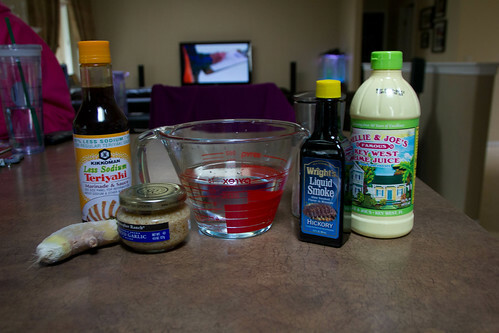 whisk together marinade ingredients in a large bowl, big enough to contain all of your chicken and marinade. 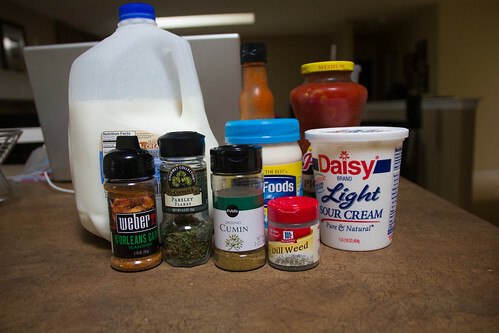 when combined, add chicken. 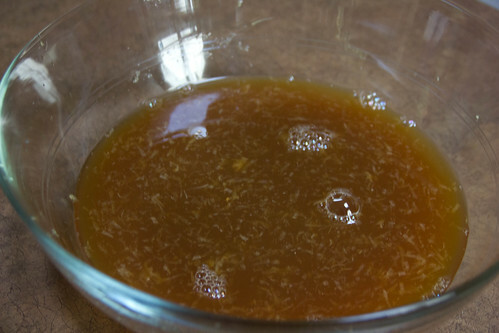 cover and marinate in the fridge for at least two hours. all day or overnight is even better. prep the dressing. 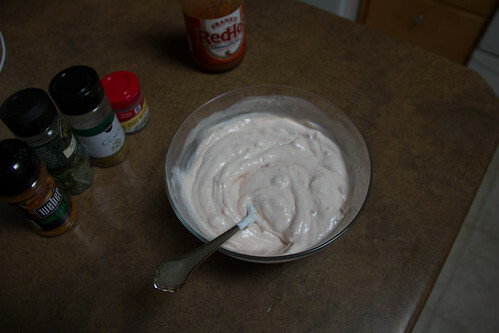 whisk together the mayo, sour cream, salsa and milk. add cajun spice, parsley, frank’s, dill weed and cumin. 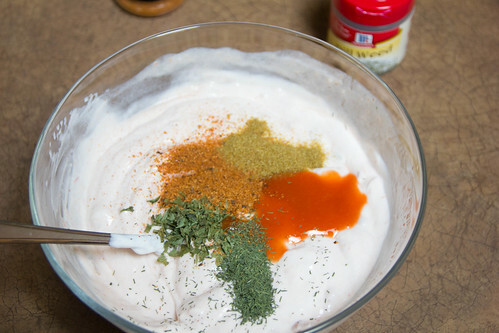 taste and add additional spices, as needed. cover and refrigerate until needed. you can make this the day before. or while the chicken is cooking. whatever floats your boat. preheat the broiler. grill the marinated chicken breasts until cooked through. line a baking sheet with aluminum foil. crush enough chips to make “nests” for the chicken breasts on the cookie sheet. top chips with chicken breast, top chicken breasts with the dressing mixture and shredded cheese. broil until the cheese is melted and bubbly. serve chicken with mexican rice.